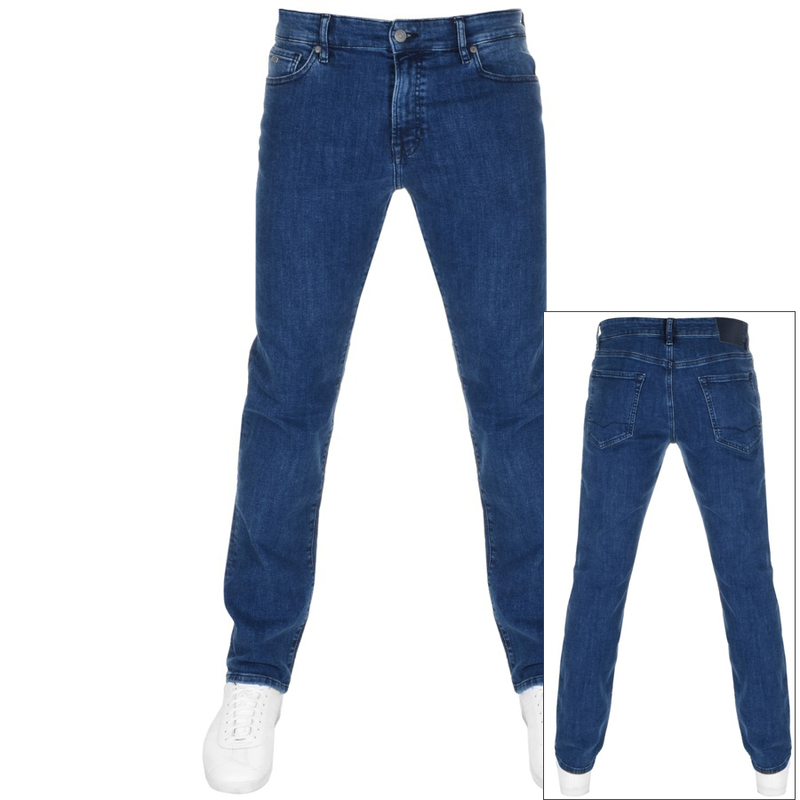 BOSS Casual Maine Jeans In A Mid Wash Blue Denim, Regular Fit. Constructed in a super stretch denim with a zip fly and a distressed silver metal BOSS Casual logo embossed top button fastening and six belt loops on the waistband. Five pocket design with two pouch pockets on the front with a small coin pocket within the right pocket and two pouch pockets on the reverse. The signature BOSS Casual metal logo is situated on the small coin pocket in silver and branded metal rivets are on the front pockets for reinforcement with the signature BOSS Casual leather logo patch situated on the reverse right side of the waistband in navy. Top stitched detail on all seams in dark blue. 94% Cotton, 5% Polyester And 1% Elastane. Brand New BOSS Casual Jeans And Trousers Live Online. I would normally purchase Hugo Boss products from the shop in the Dundrum Town Centre so discovering Mainline menswear and its competitive pricepoint has been great, I wear Hugo products alot with the exception of work, the quality is excellant even over a period of time unlike cheaper brands. I have recommended Mainline to my son who viewed the booklet I received with a recent delivery as he likes the Fred Perry range.